I think my biggest love for the brand is based on the range of exclusives they have and have had. I grew up on Crash Bandicoot and Spyro the Dragon (not new information as you all know that) so back then, the original games were only playable on the first ever Playstation. I also loved Singstar when they released that for the Playstation 2. My parents, (my dad in particular) would come home with a new Singstar game often and we would all spend hours playing the games and singing our lungs out. My childhood best friend and I would also play Singstar regularly – it’s the first time I ever heard “World of Our Own” by Westlife. What a great tune that is! With the Playstation 4, the range of exclusives it has continues to amaze me everyday ( Horizon Zero Dawn, God of War and Uncharted just to name a few!). I’m also very happy they have brought back exclusives from the Playstation 3 that I never owned such as Heavy Rain and Beyond Two Souls and God of War 3 (Remastered for PS4). Also Playstation 2 Kingdom Hearts and obviously as of late Playstation Crash Bandicoot Trilogy and soon Spyro the Dragon Trilogy. Some of these exclusives that Playstation have receive so much attention. They bring people who play other consoles over to their platform just to play these games. Some are also known to be some of the greatest games of all time too which I think is amazing. For me, I find the hardware so sleek and visually stunning. Not to mention so easy to use. I have little hands so growing up I found the Dualshock controllers easy to hold and navigate. I also found the menus (more so the PS4 menu since the 1 and 2 didn’t have much of a menu, if not at all) easy to use too. It’s all so clean and minimalistic that anyone can pick up a controller and easily navigate the menu and use the consoles. I am also a big fan of their range of limited edition consoles and controllers. The designs they have are so lovely and executed so well. 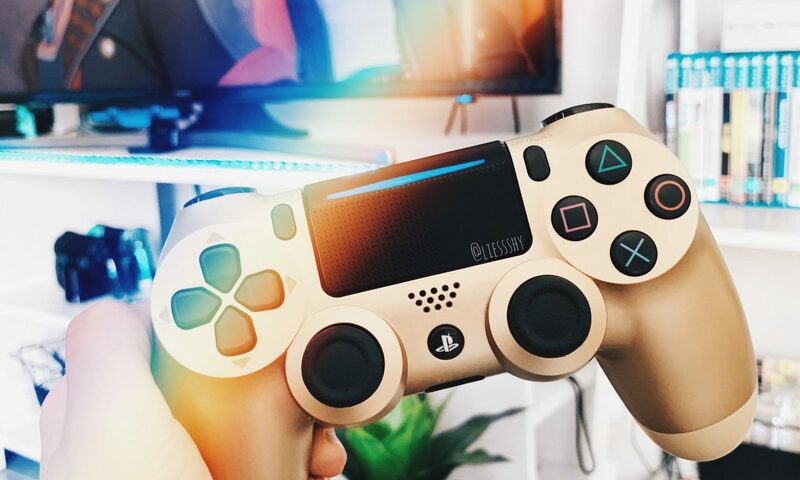 My favourite limited edition consoles are the 20th Anniversary PS4, and the gold and silver Slim PS4 – even though they are almost all completely plain… I am just very minimalistic. I also love the look of the Starwars Battlefront Darth Vader PS4 and the Monster Hunter World PS4 Pro. However, my favourite design that actually has proper detail is the God of War PS4 Pro. In regards to their controllers, I am totally obsessed with the Crystal range of the Dualshock 4. There are 3 colours in total – Red, Blue and Clear. They are so beautiful but I am crazy for the clear and the blue. However, I had to make sure all 3 were in my household, regardless if the red belongs to my boyfriend and not me! I cannot recommend Playstation anymore than what I do to people. They are such a perfect brand with perfect products. No matter what they bring out, all their products are made to the best they can be. The brand as a whole really look after their fans and consumers and we all get quality products for what we pay for. My whole life I’ve been a Playstation girl, and I know I will be forever. Next PostNext Zelda BOTW – Completed!